'LOOK' BETTER - 'FEEL' BETTER - 'THINK' BETTER... PLAY BETTER GOLF! Dr. Paul Callaway's '1% Club' is the simplest and most effective approach for helping your mind, body and swing get 'golf-fit' online... without spending an arm and leg! Get your very own on-line golf-specific 'physical' conditioning and 'mental' game training program with Dr. Paul Callaway! Train 'any' time and 'any' where that fits your schedule by using 'any' device that is convenient for you to get online! Easiest and most affordable program available to re-shape your golf body, mind and swing! Revolutionary golf-specific body, mind and swing training exercises and drills! Total golf performance improvement for ALL players at ALL levels! Gain improved posture, balance, flexibility, strength, stability, speed, power, distance, and accuracy with enhanced mental focus, confidence and consistency in your game! for total golf performance enhancement and injury prevention. Visit the Callaway Golf Fitness STORE by clicking on this => SHOP LINK <= to purchase your '1% Club' online training program. Simply choose the 'monthly' or 'yearly' payment option that is best for you and click the 'Add to Cart' button. Your '1% Club' Membership Program materials - including step-by-step instructions for how to complete your Initial Evaluation - will be emailed to you directly as soon as you complete your purchase. Follow the detailed instructions to complete your Initial Evaluation... including the full-swing video... and email the Initial Evaluation back to Dr. Paul Callaway. Dr. Paul will then analyze your Initial Evaluation findings and full-swing video to build your custom golf fitness training, swing re-education and total performance enhancement program to help you reach your identified goals. Once completed, Dr. Paul will email your custom golf fitness training exercises with specific details for how to perform each exercise and swing re-education drill. You will also have the opportunity to schedule SKYPE and/or FaceTime video chat sessions, as needed, to discuss follow-up questions or any elements of your custom program design. ... in order to achieve their 'true' golf performance and total wellness potential. And, even for golf's most committed '1%', creating enough time and disposable income to fit every aspect of their total golf performance program can be extremely difficult! That's why, Dr. Paul, offers an exciting, customized, golf-fitness and golf-mental performance enhancement program that works for 'any' golfer who recognizes the importance of becoming one of the top '1%' of all golfers through the integration of all 4-essential golf performance factors ... AND ... needs to be most efficient with both time and budget to look, feel and play the most consistent, confident golf of their life! The Callaway Golf Fitness '1% Club' Membership Program provides the most affordable and convenient vehicle to build a customized, golf fitness and mental training program that can be easily performed 'on line'... in the comforts of your own home or when traveling... while being financed through a very low cost membership fee. A fully-remote, Initial Golf-Specific Physical and Mental Performance Evaluation... including a full swing video bio-mechanical analysis. A customized golf fitness and golf mental training program design and progression from Dr. Paul Callaway. Downloadable golf fitness and golf mental training exercise instructional PDF's and videos on your computer, tablet and/or smartphone. Follow-up email and video-conferencing services for follow-up training, custom program advancement and support, as needed, with Dr. Callaway. 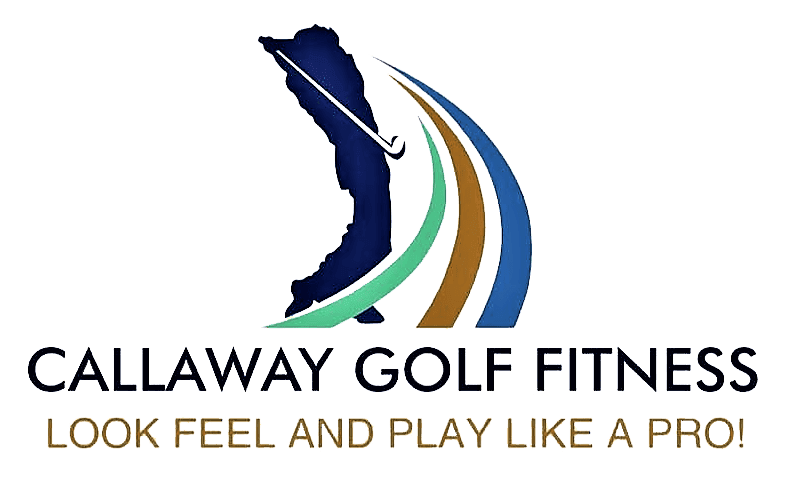 The Callaway Golf Fitness monthly 'Golf Mastery' Total Golf Performance e-Newsletter and 'live' webinars. Golf nutrition, golf injury treatment counselling, and total wellness support. Golf 'mental' game training info and coaching. Golf fitness and optimal body weight management tracking forms.